Tendonitis – what is it, do you have it, and if so, what can you do to get back to your normal daily life? We break down this common injury and the best ways to treat your pain so you can get back to your work, sports, hobbies, and normal routine. Tendonitis is inflammation of a tendon, which is what connects muscle to your bone. There are two types of tendonitis, either acute or chronic. Acute tendonitis comes on relatively suddenly; local inflammation will be present for days/weeks and can be both significantly uncomfortable and limiting. Chronic tendonitis has hung around longer; you’ll have had this inflammation for weeks/months and although it is also painful, many people and athletes will try to continue their normal sports and activities while pushing through the pain and discomfort. We recommend early treatment, regardless of which type of tendonitis you may have. By waiting to seek treatment, you can cause further damage to the tissue. Your body may also compensate for the injury, which can lead to other pain and problems. If you try resting and icing the area at home and don’t see improvement within several days, we recommend seeing a physical therapist. S/he can properly assess your injury as well as any factors that may have caused or contributed to it, as well as how to best treat your tendonitis, pain, and help prevent further injury. You can often see a physical therapist faster than your regular doctor; your PT can then notify your doctor of the findings and you’ll already be one step ahead in treatment. Although the injuries are similar, the tissue itself reacts differently and a professional will treat it differently. A physical therapist will recommend ice, rest, and/or bracing for acute tendonitis. S/he will investigate what may have led to this particular condition, such as form, training errors, flexibility, strength, etc. For chronic tendonitis, a physical therapist will address the changes that have occurred as a result of the long-term inflammation. Although chronic tendonitis may also be treated with ice, rest, and/or bracing, this condition is more likely to be treated with manual therapy by your PT. Manual therapy can improve how your tissue responds to stress you’re putting it under with sports, work, etc. Your PT will also evaluate strength, flexibility, and movement patterns to ensure that there aren’t structural issues that are playing a role in the development of chronic tendonitis. If you’re struggling with acute or chronic pain, Body One Physical Therapy can be your first step on the road to wellness. 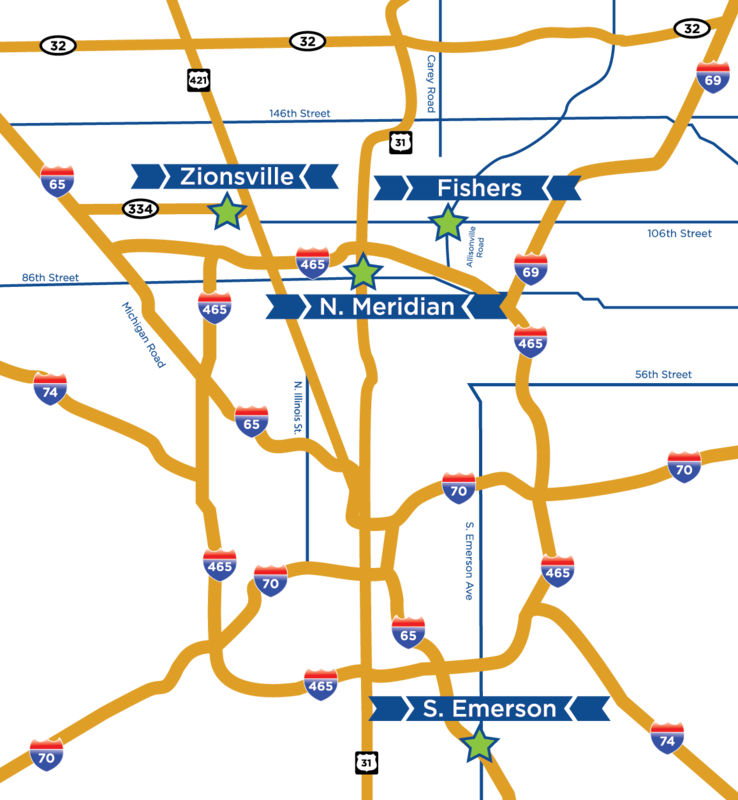 We are locally-owned with four locations serving Central Indiana: North Indianapolis, South Indianapolis, Fishers, and Zionsville. Our highly-trained, caring providers also offer athletic screenings in our Performance Ability Testing program. This is a great program for anyone hoping to focus on injury prevention: you’ll learn about improvements you can make in posture, flexibility, movement, and more. Call us today to find out how Body One can help you get back to feeling great!